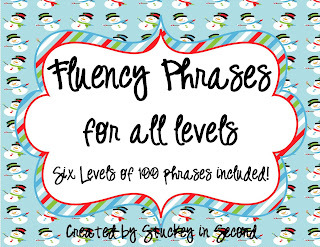 Fluency....isn't that what we are all working on? 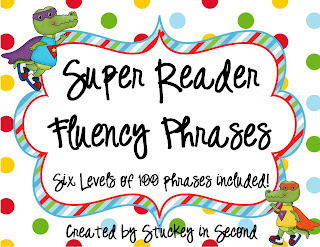 Fluency not only helps with test scores (grrrr), but it actually helps students comprehend what they are reading. 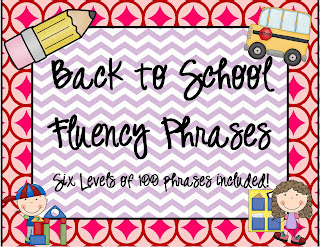 I always spend a good portion of the beginning of the year working on fluency with every student. Some students move out of needing so much fluency work, but others need it the whole year. I discovered Fry's Fluency Phrases probably 4 years ago. 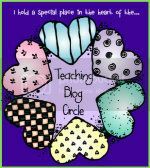 At first I was excited to just copy them onto different colors of card stock, cut them out into strips, and put them on rings for students to practice. I can actually remember cutting them and assembling them in the car on a road trip we took to Nashville. I actually still use those rings of phrases. They hang up on hooks in my classroom (if I were in my room yet, I'd add a picture, maybe later!) I have the 100 phrases of each level separated into 5 or 6 rings, so I will pass those out to my small group (whichever level they are on with the phrases.) We usually warm up our small group with those. They will read through one set, then throw them in the middle of the table and when someone else is done, they take theirs, etc. Even though the kids still like doing those phrases on the rings, I felt like I need some more creative ways to practice the same phrases. Of course, the kids don't seem to notice they are practicing the SAME thing, they think it's a new and fun game! Now, since my students love these so much, I decided to make another set for a few reasons. First reason, they like to have a variety throughout the year and not get bored of course! Second, because I don't want this laminated set to get completely ruined after an entire class is using them for an entire year (and the kids last year have already worn them in pretty well!) 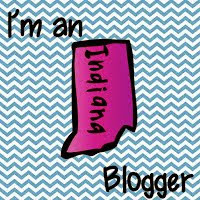 So, I've created another set, same exact phrases and everything, just different clipart! They have a Back to School theme! So, I know that I have the option of using the "Super Reader" set or the "Back to School" set at any point in the school year! 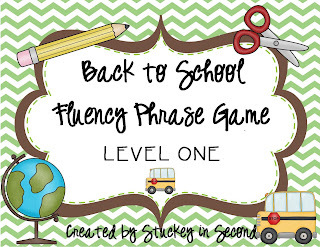 :) The kids think they are "new" games, but I know that they are all just fun ways to practice fluency without them thinking that they are really being pressured to read phrases over and over again. They truly love it. 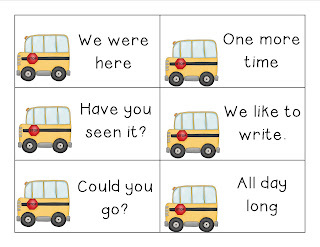 Here is the Back to School Fluency Phrase set that I completed yesterday. Click on any of the pictures to check them out in my store!! One last thing, although it's hard to think about Christmas time (and WINTER!) right now, I also have a set for that time of the year. Again, just another way to "mix it up" for the kids! Like I said before, exact same phrases and cards, just different theme and clipart! This one is a mix of winter and Christmas. 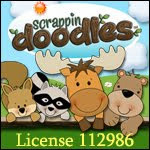 I put together a lot of materials yesterday to add to my store (and to get ready for the school year!) I'm feeling the crunch with only a few days left before I'm sitting in training and PD all day, getting my room ready, then the kids will be arriving before I know it!! Here's a glimpse at one other thing I put together yesterday! 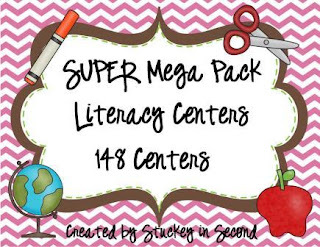 (All of my Literacy Center Mega Packs put into one SUPER bundle! Total of 148 centers!) I still need to put together one last Mega Pack today!